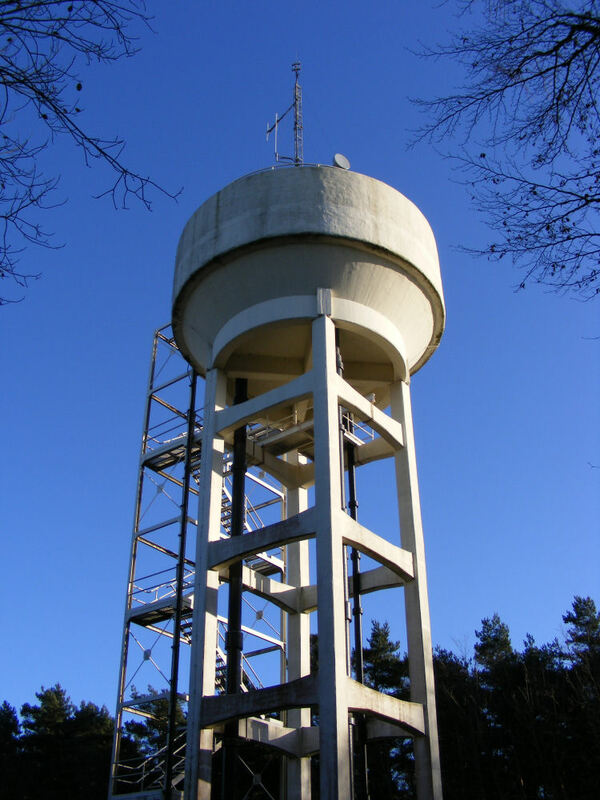 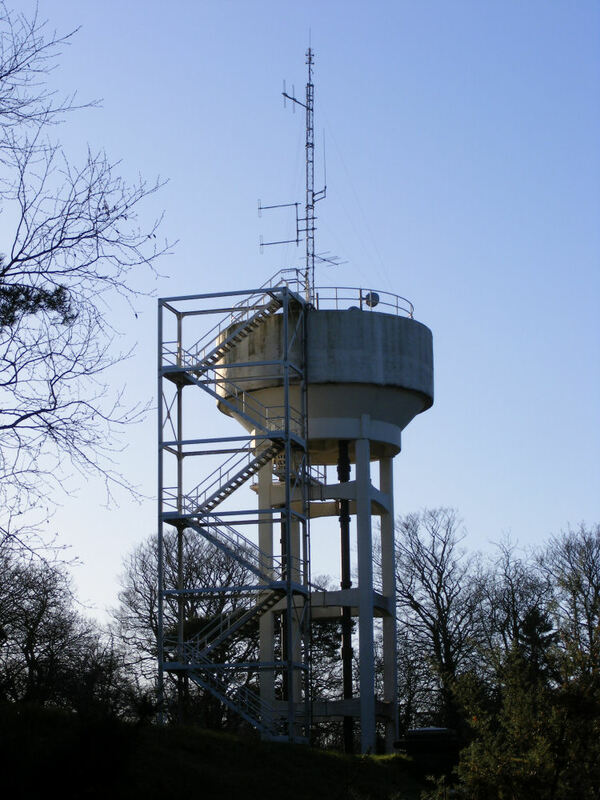 This site is on top of an Anglian Water Tower. 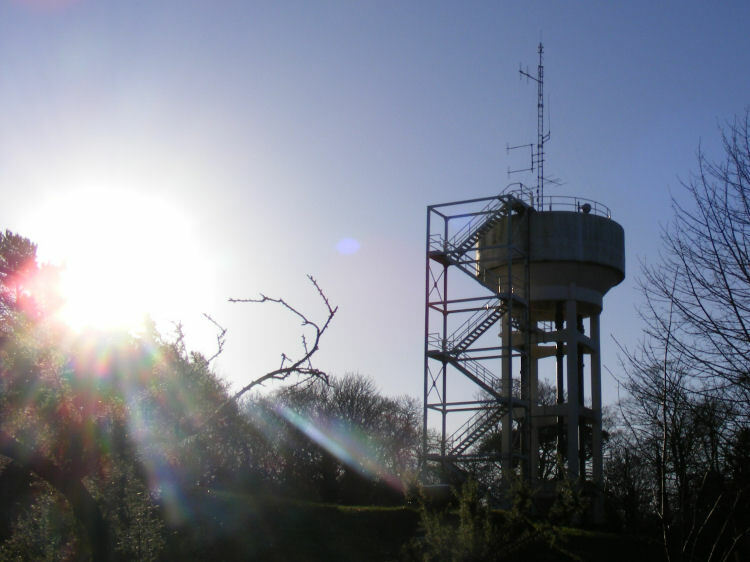 Unfortunately, this is the best picture I could take as the site is completely surrounded by trees and heath land. 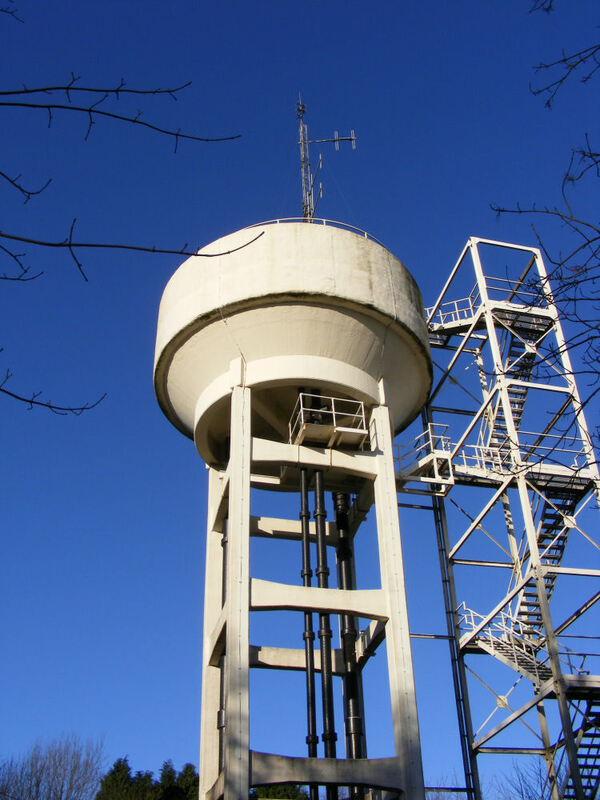 You maybe able to just see the horizontal yagi, just peeking out from the top of the water tower. 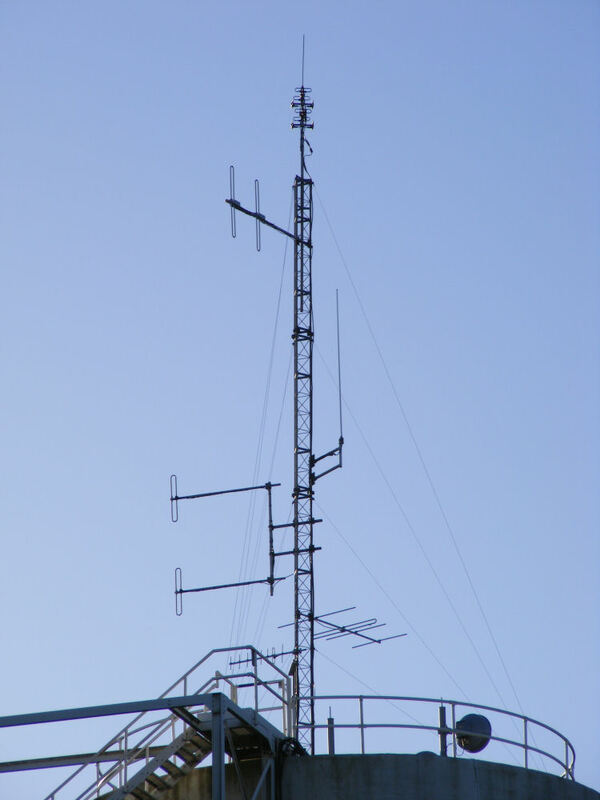 This is the aerial which receives the Stody 96.2 FM transmissions, and like the Bunkers Hill site, rebroadcasts the signals on 103.2 FM. 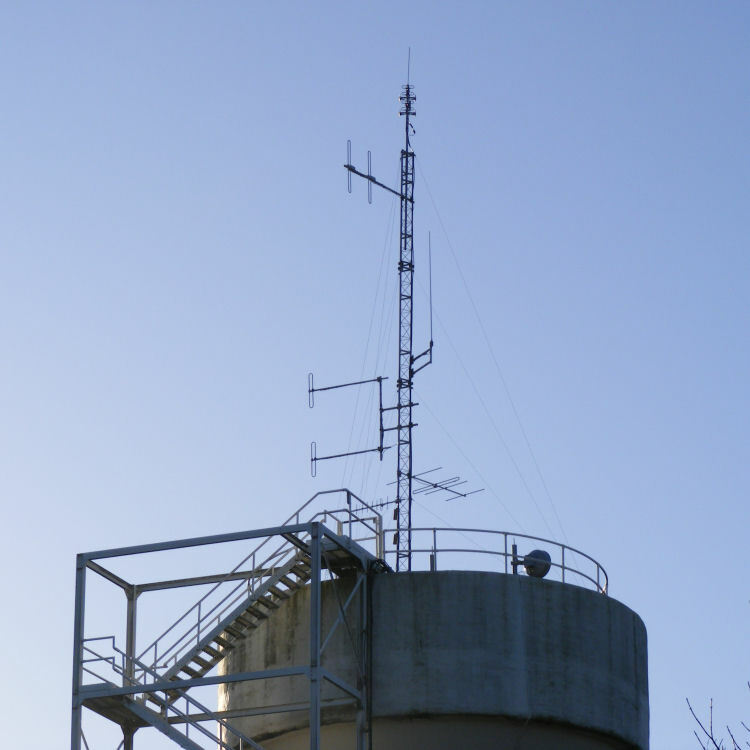 Both Aylmerton and Bunkers Hill sites transmit on 103.2 FM, but are so designed that they do not cause interference to each other. 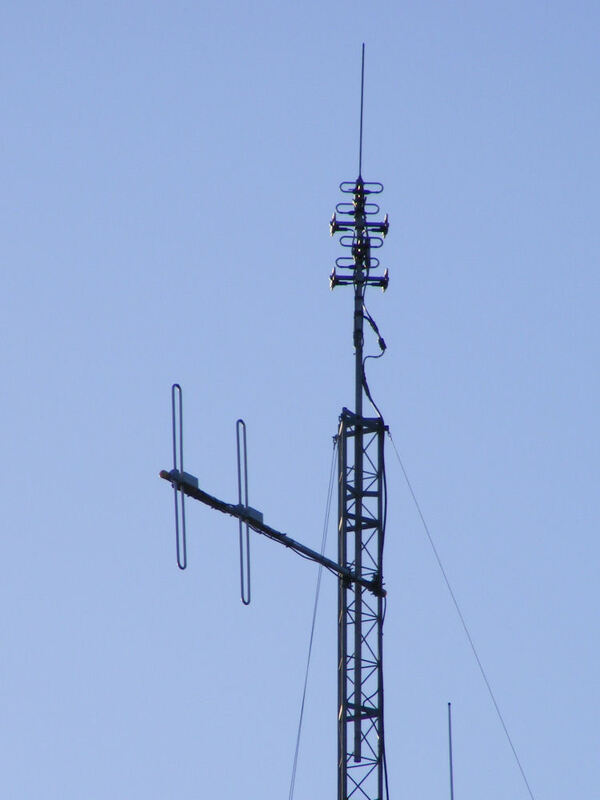 Whereas Bunkers Hill has 2 vertical yagis (pointing North/South), Alymerton has just one directional yagi, roughly pointing towards the North East, although I could not see this because of the trees surrounding the site.